Ok, I am going to jump on the band wagon and offer an Italian appetizer, Pizzette Mini Calzoni, for Super bowl Sunday. Even though I live in a country where there is only soccer and I repeat there is only Soccer. For 12 months of the year, I kid you not. You have to understand Italians are as serious about their soccer team as they are about their cars, cell phones and food. Oh how I miss North American sports. Baseball, football and most of all hockey. I know how serious Superbowl Sunday is, so I baked up some serious appetizers. 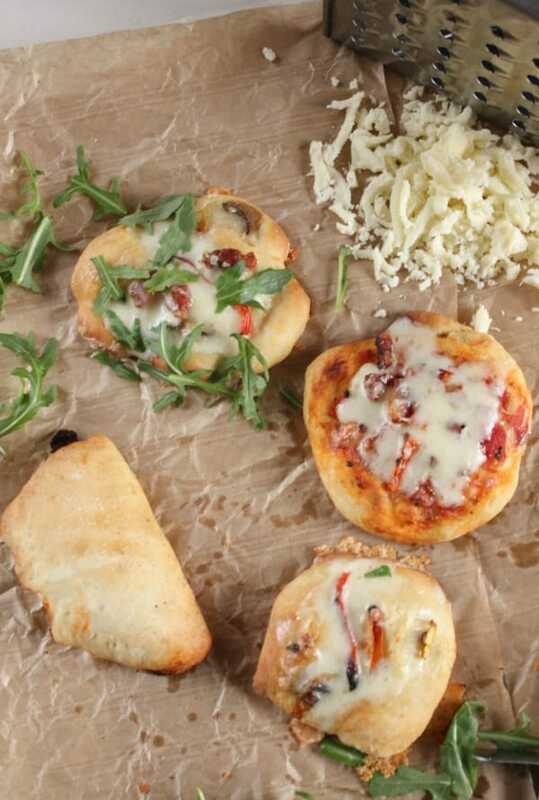 Pizzette Mini Calzoni, pizzette in English means little pizzas, so what is better than that? 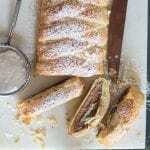 Maybe a delicious mini calzone? 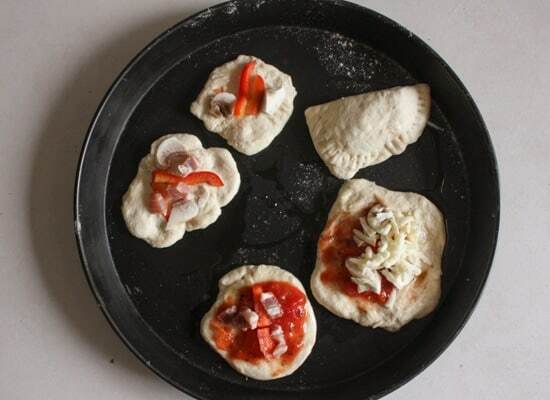 Pizzette Mini Calzoni can be so fast and easy to put together. 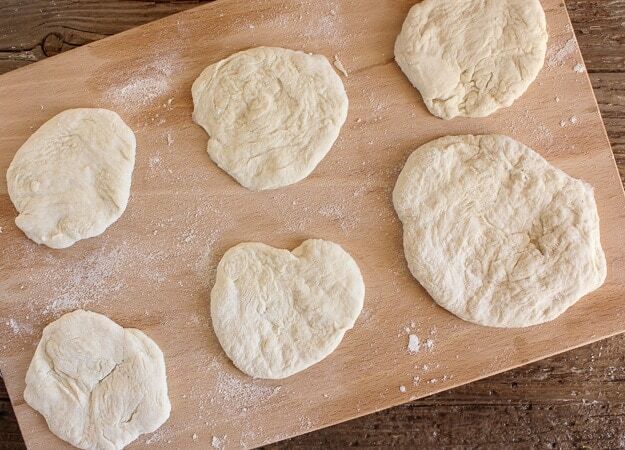 Just make the circles with your fingers, no need to roll the dough. 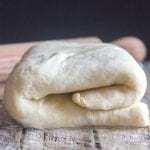 You can either use a good pizza dough ready to go from your local bakery or pizza place, or if you prefer, make your own. You can try my Best Pizza Dough. I bought 1 1/2 pounds (700 grams) of pizza dough and I made approximately 18 pizzette and 3 mini calzoni. Of course depends on what size you decide to make them. 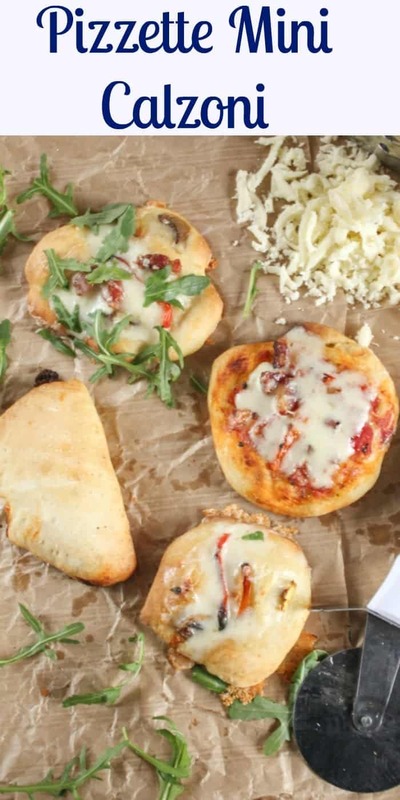 Pizzette are really popular here in Italy at parties and get togethers. 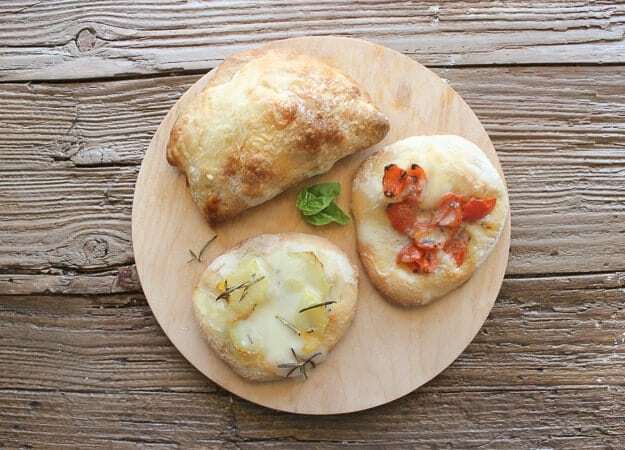 In my family we really enjoy calzoni so why not make both, Pizzette Mini Calzoni? It’s the toppings that make these so darn delicious. How about doing something different and add a potato topping to your pizzette? You will be so glad you did. Enjoy! And Happy Superbowl. 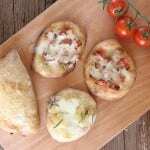 Pizzette Mini Calzoni, mini pizzas and calzoni, easy appetizers or snacks, perfect for parties or get togethers, kids will love them. Pre-heat oven to 450° (250° celsius). In a medium pot of boiling water boil the sliced potatoes for approximately 8-10 minutes (until tender but not mushy), drain, rinse with cold water and towel dry. In a medium bowl toss together all the ingredients for the Tomato Topping. 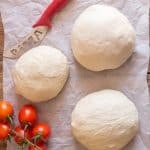 Remove small pieces of pizza dough and form into small circles for the Pizzette (they don't have to be perfect, remember pizza is a rustic dish) and larger circles for the calzoni. Top with some tomato, pancetta/ tomato, olives / potato, rosemary / potato,rosemary,pancetta (if you are using just potato then sprinkle a tiny bit of salt)/ etc, drizzle with a little olive oil and bake for approximately 10 minutes or when dough becomes golden, top with grated mozzarella and bake 1-2 minutes, serve immediately. 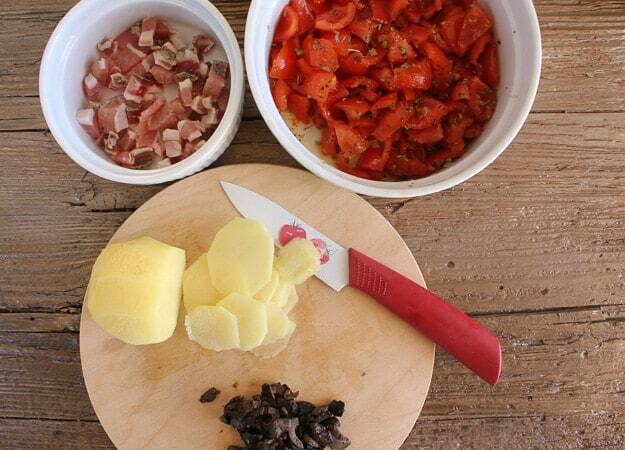 Remove pieces of pizza dough to form bigger circles for the mini Calzoni, on one side place the topping, I made mine with tomato topping, pancetta or olives and grated mozzerella (remember to add the cheese). Fold the empty side over and seal with a fork. 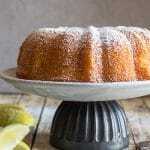 Drizzle with a little olive oil. Bake for approximately 10-15 minutes or until golden. Enjoy! These look sooo good! I think my kids would enjoy making this. Friday is always pizza night in my house- my son actually wanted home-made pizza tonight…he sprung it on me a little too late. These would be perfect! Hi Veronica, these go so fast in our house, good change from a regular pizza. Have a great weekend. 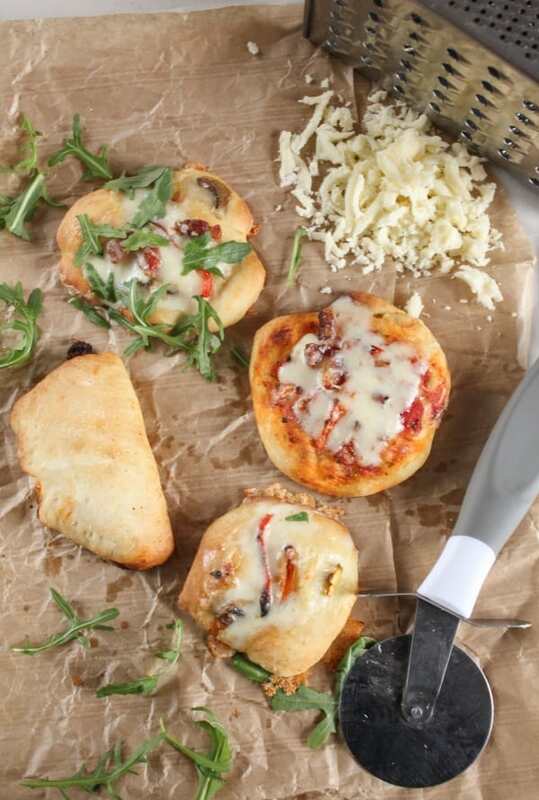 I’m trying your pizza dough this weekend – bought all my toppings and excited to give it a go! Hi April hope you like it, let me know. Have a great weekend. Oh My!! Those look delicious. We had homemade pizza last night with anchovies. I can’t imagine not eating anchovies — I love them. And since the Indy Colts are out of the running for Super Bowl – I don’t care who wins. But we can certainly celebrate eating some good appetizers. Grazie Rosemary! Hi Marisa, thanks, my husband loves anchovies on pizza too! Prego Marisa!